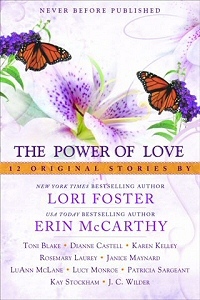 In this engaging anthology of never-before-published stories, twelve award-winning and bestselling authors are united by their unique visions of the resilient woman and her quest for self, for fulfillment, for empowerment, and for an enriching new appreciation for what love really means—and why it matters. A young woman is torn between the overbearing security of her fiancé and the excitement of an old flame…a desperate wife is forced into the workplace for the first time in her life…an ambitious professional woman finally finds the courage to take control of her career—and her man…an emotionally fragile divorcee finds resolve in the ethereal visitations of an archangel. These are just some of the women who discover and rediscover their wonderfully fallible selves in the shadow of love—romantic love, platonic love, new love, and lost love. You’ll be touched, inspired, charmed, and amused by these twelve original stories of disparate longings, unsettled lives, and the power of love.